From here you will fill out your payment method as if checking out. 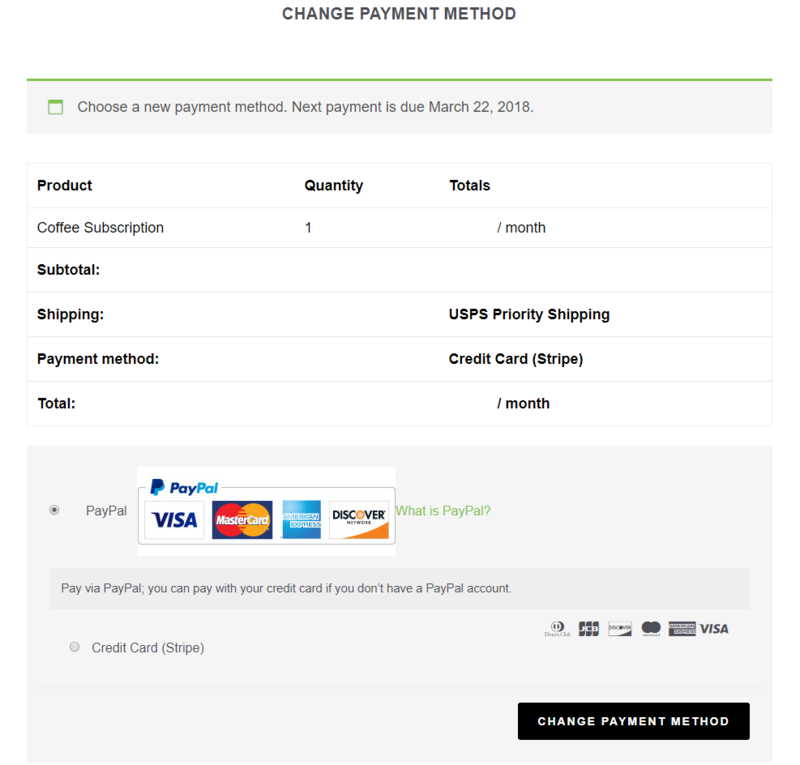 Select an option and then click "Change Payment Method" to proceed. You will be taken to PayPal if chosen or receive a pop up to enter your credit card information if the stripe option is chosen. Once this step is completed the payment information attached to your subscription will be updated.